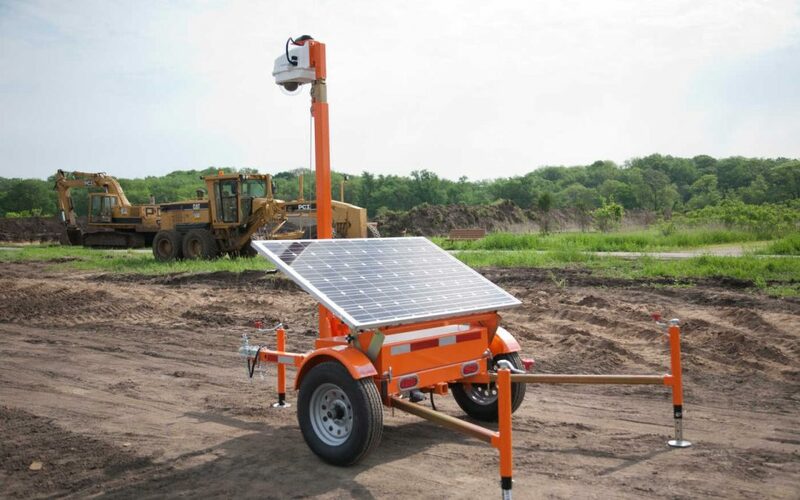 The innovative Worksite Hawk offers phenomenal management and security benefits while leaving a nearly invisible footprint on the jobsite! The Worksite Hawk aids and protects your operation, and does so without getting in the way or complicating your life. Its compact size ensures that the Worksite Hawk is easy to transport and setup without occupying too much valuable jobsite space, while the user-friendly software interface makes using it a breeze! The unit is easy to transport, even when attached to a small car. The compact frame minimizes the required space, so even jobsites dense with employees and materials will have plenty of room to host it. And perhaps best of all, the foldaway tongue and ability to nest the units together ensures economical shipping! Whatever sort of operation you run, the Worksite Hawk can only make it better. Contact us for a live Skype or FaceTime demonstration of the Worksite Hawk’s amazing capabilities! Check out the Worksite Hawk for yourself! To schedule your live Skype or FaceTime demonstration of the Worksite Hawk, call us at 319-415-1226, or email us at sales@CrossroadsMfg.com.